Fascias Soffits & Guttering in Prestwich, M25 3EE. Covering Manchester and all North West areas. 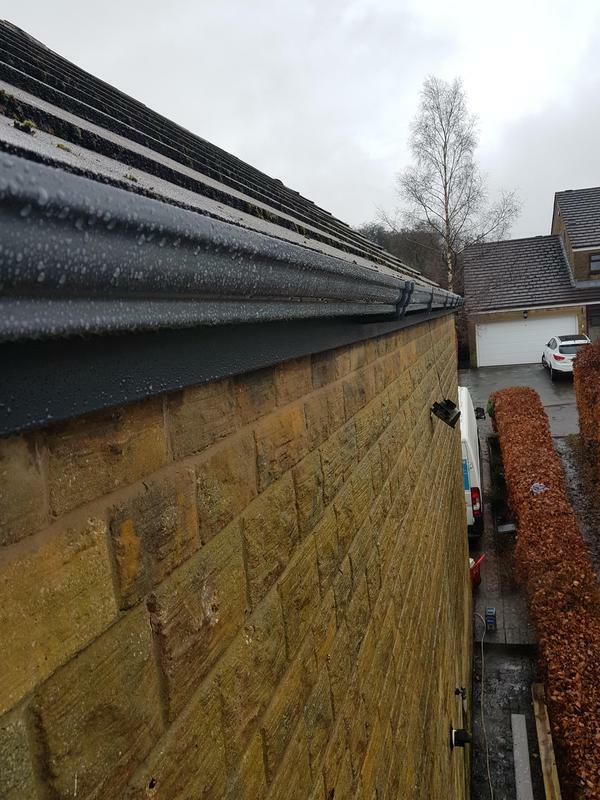 Taking care of your guttering can save you time and money in the long run by helping to prevent staining and damage to the exterior of your building and structural damage caused by damp. 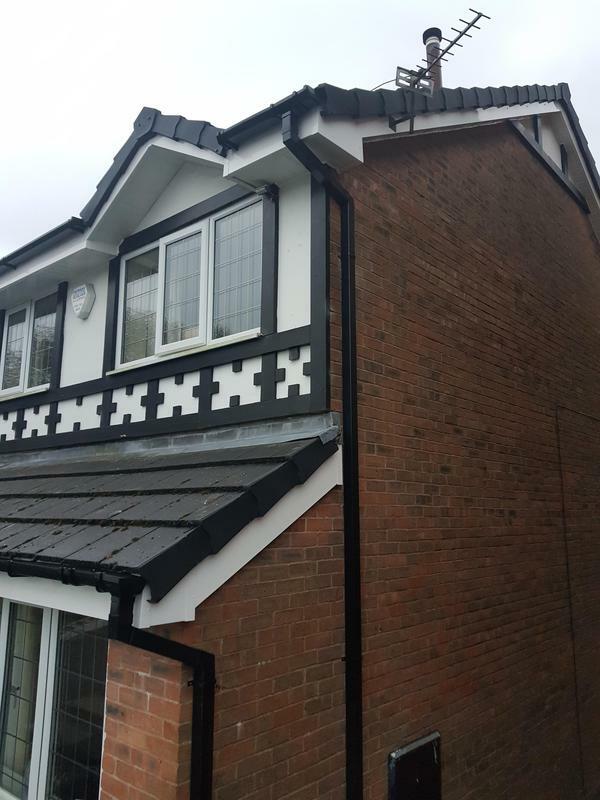 Based in Prestwich, Rooflines & Windows North West Ltd is a trusted and reliable fascias, soffits and guttering specialist. Guttering, fascias and soffits are frequently overlooked. However, their purpose is much more than cosmetic. Guttering is vital to redirect run-off from your roof, which is an average of 500 gallons for an inch of rainfall! Without effective guttering this water can run down the exterior of your property damaging the walls, windows and doors and causing staining. If water isnt properly drained away it can sit at the base of your property, seeping into the foundations and causing damp. 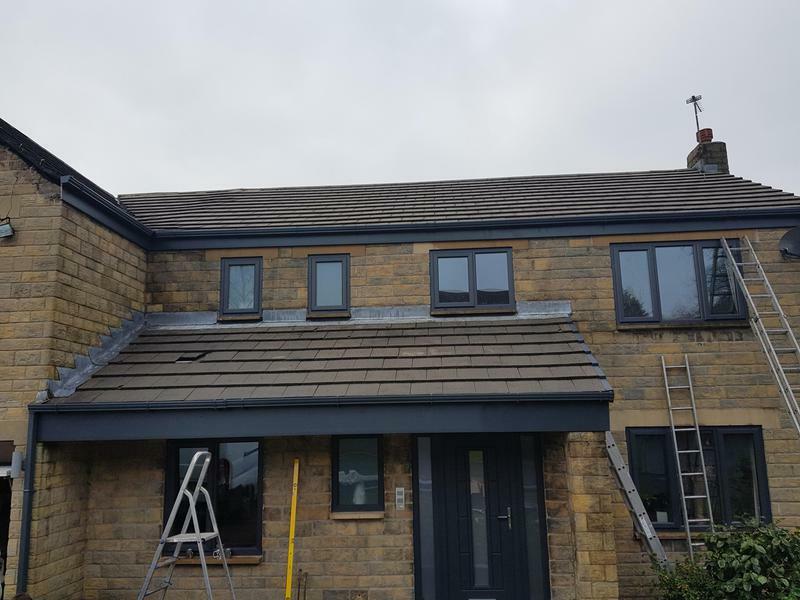 Rooflines & Windows North West Ltd is on hand to clean, repair and install new guttering to make sure your property looks good and is protected from rain. "Excellent communication and clearly explained choices and cost, then clearly outlined on the quote of exactly what would be done. And then did exactly what they said they would.... actually they did more as they replaced some tiles for free also. Great value and a lot cheaper than I was quoted by others. Skilled staff completed the job quickly and efficiently. 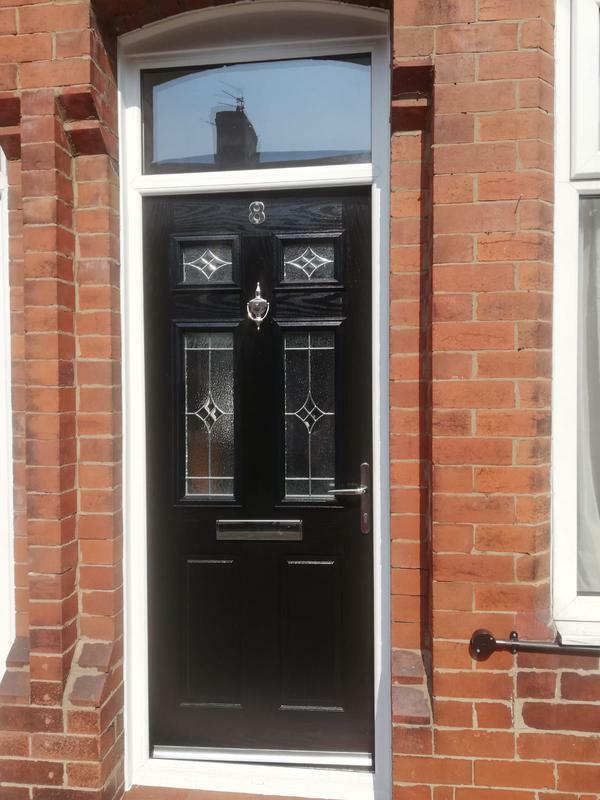 Couldn’t fault them at all Thanks for a great service and excellent job"
"Fitted new front and back doors for us. Good quote. Good attention to detail and good snagging. Will certainly invite back to quote for a future job also. Recommended!" "Reconstruction of my old conservatory roof to tie in with my extension. Not a straightforward job but done with expertise and care. Would definitely recommend and have already done so." "This Company was recommended to us by other family member. They initially did our gutters fascias soffits and dry verges a few weeks ago and then came back to do the windows porch and door. Highly recommended. Very easy to deal with. Great work ethic from the whole team. Communication with customer is excellent by Rick. Constantly updated. Also full of good ideas and providing different options. No smarmy salesperson. No glossy brochures. Good knowledge and use of social media and links to products"